Participating in a designer show house has always been a dream of mine, so I was thrilled, and incredibly honored, to have recently been asked to do the Luxe MagazineMaison de Luxe at Greystone Mansion, one of the best show houses in the country. And since one room just wouldn't be enough, I chose the second floor grand hallway, which also includes a study and sitting room. I imagined three spaces coming together to form a sort of triptych, with the grand hall as the centerpiece, with two adjoining, related room that stand on their own merits but, it collaboration create something even greater. 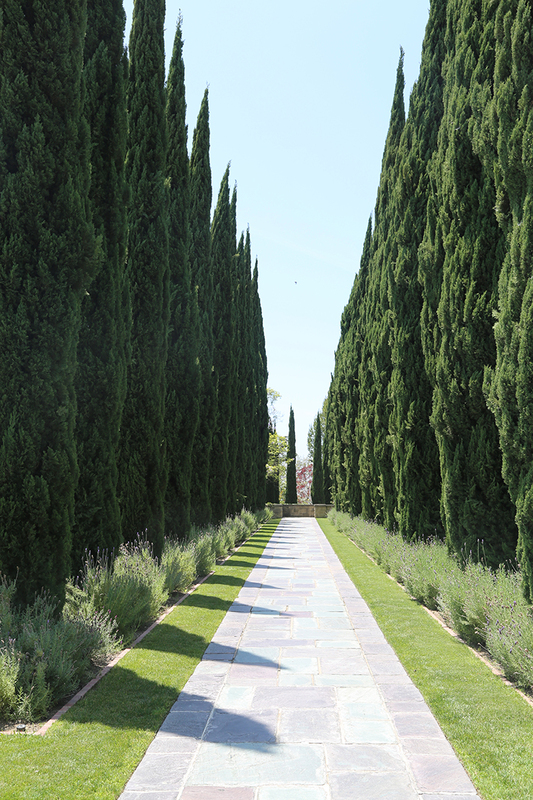 Much of my inspiration for the spaces has been pulled from Greystone's elegant yet earthy exterior and grounds. The rich, antique slate roof, the celedon in the pathways, offset by the deeper Cypress, and the gorgeous stone walls... rock solid strength mixed with a hint of mystery, intrigue, and maybe even moodiness. I imagine a morning in Montecito, with the low cloud coverage and flat light making the tonality of colors merge, softening rough edges and creating seamless transitions . I can see my (imaginary) clients entertaining in the grand hallway, sipping an intimate glass of wine in the sitting room, or escaping to the solitude in the study. Let me take you through the grounds. Our installation is just around the corner in September, so I will be sharing the concept and development in the coming weeks. Stay tuned.